We had a GREAT day at the Berean office. 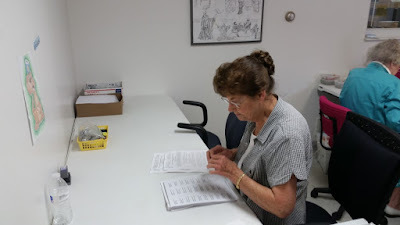 Eldon delivered a skid load of Bibles, the rest of the studies and Bible requests were processed then a crew got the Bibles all stuffed, wrapped, labeled and loaded and another crew worked on studies and by 11:45 everything was finished. 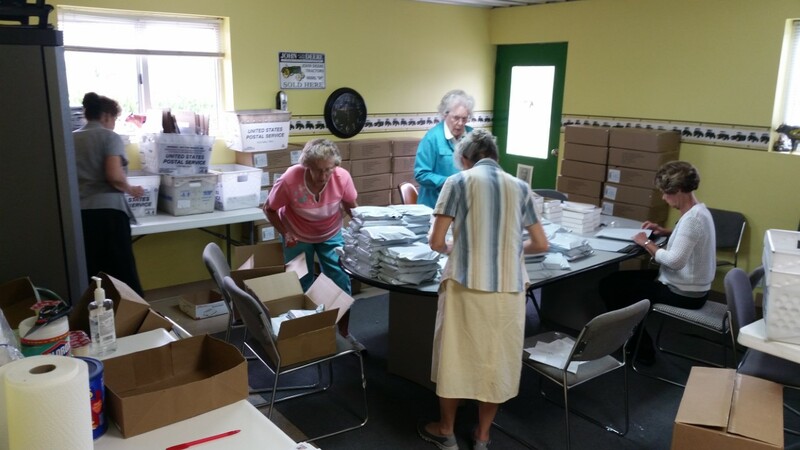 Above Edie, Anna, Eva Jean, Roma and Marilyn are getting the Bibles ready for mailing and below Eva Jean and Chuck are working on studies. Above Edie is finishing up the study labels and below Anna, Marilyn and Roma are finishing up wrapping the Bibles. We really were blessed this week to be able to survive the hard drive crash. 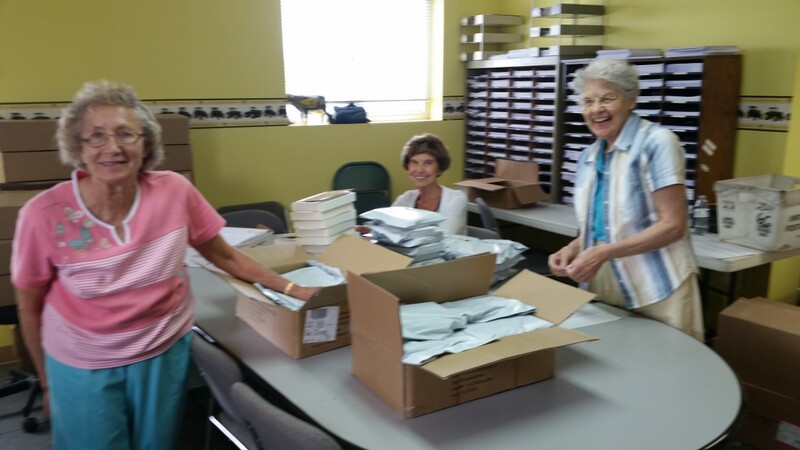 So very thankful for all the volunteers that came to help this week. 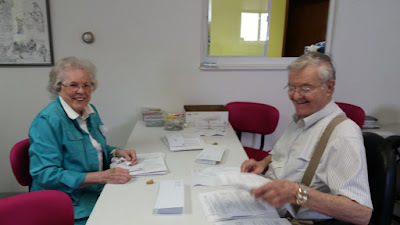 Speaking of volunteers we are sure hoping we have a good turn out for the Berean Banquet Saturday. It is just TWO days away and we still have room for guests. If you have never heard of Berean or never come to this annual banquet I HIGHLY recommend attending this one. Not only will you be served a delicious catered meal you will much better informed about why we do this. Feel free to call Ellen (309) 672-0991 She will be glad to take your reservation.